Hollywood Actor, Tom Hank Talks About Parent’s Divorce At 5. 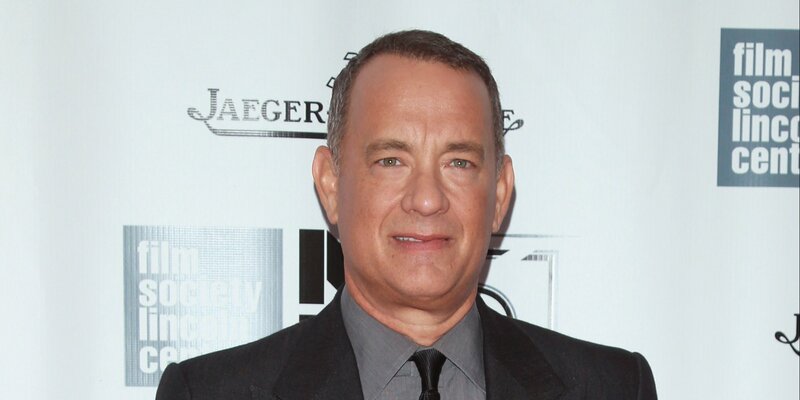 Hollywood actor Tom Hanks has revealed he lost the feel of love from both parents to divorce at an early age of 5 and he remains devastated with the memories. The famous actor said his childhood was characterized by ‘loneliness’. The interview will be aired today May 8, 2016. Hanks continued with his revelations telling the unknown story of his life. The 59-year-old actor said he and other two siblings were brought up by their father Amos who married twice after their mother left. He explained that the children briefly lost touch with their mother, Janet. By the age of ten, the double Oscar winner sorrowfully confessed, he had lived in ten homes in five different cities. ‘[The divorce] was more about complexity than crossfire,’ he says. ‘I never came across anybody that was abusive or angry to the point that they took it out on us. ‘We were confused because no one explained anything to us. No one said, “Hey listen, you guys are great. Hanks reveals during the interview that he had no problem with the ‘Mr Nice Guy’ label often attached to his name. He started from a humble beginning and has made his mark in Hollywood, away from scandals. Tom leads a good example to every person whose life has been affected by divorce. Failed marriages put kids at a crossroad and only the strong-minded can go against the tide or walk the rope to stardom in such circumstances. Would it be right for people to blame their failures on divorce if they can’t turn the weakness into strength? 5 Comments on Hollywood Actor, Tom Hank Talks About Parent’s Divorce At 5.